Attacking the proposed grand alliance of opposition parties for the 2019 Lok Sabha elections, Finance Minister Arun Jaitley on Saturday warned the country of the dangers in electing a "coalition of rivals" which will be a "certain recipe for disaster".He asked if the world's fastest growing economy and the largest democracy be ever governed by a coalition of rivals. "The country has seen such governments and paid a heavy price in the past. It's a flawed formula which has been tried and failed with its adventurist approach and the level of understanding of issues which is extremely weak," he said in his keynote address at the ET Awards function here.He said he saw the reality of state parties in the country but the nucleus of the coalition should be a party with a large political base and not a miniscule political base.Jaitley also criticised the decision of the Andhra Pradesh and West Bengal governments to withdraw general consent to the CBI to conduct raids and investigations in their states. "Yesterday (Friday), somebody declared sovereignty saying they won't allow investigative agencies to enter. This is governance adventurism at its worst. Today it may be advantageous to you, but it is a combination that never works," he said. He said the experience of the past proved that a strong leader with a majority could provide coherence in economic policy unlike in 2004-14 when, he suggested, the Prime Minister was not the absolute decision maker. 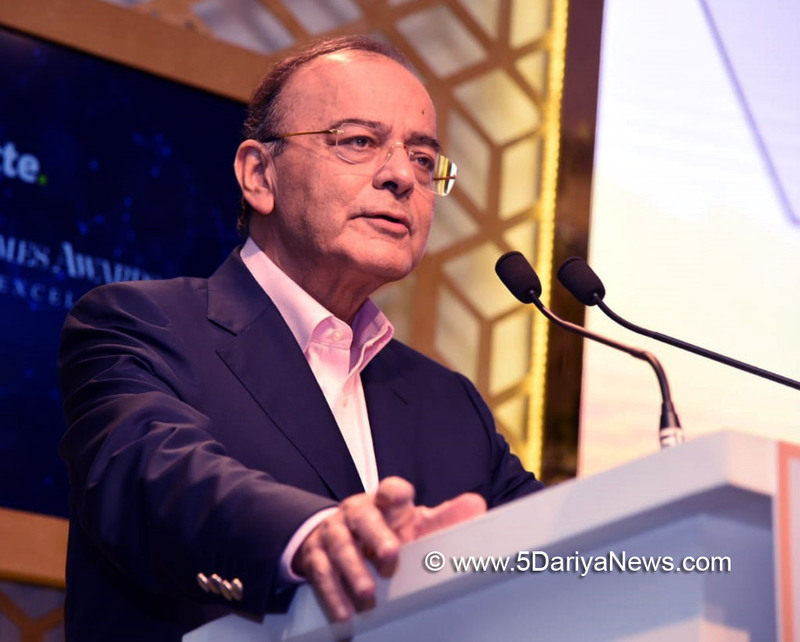 "This kind of adventurism with a combination of rivals is a certain recipe for disaster," Jaitley said.Referring to political analysts predicting elections, the minister said that the electorate had given them a majority beyond even what they had expected in 2014. "We were not expecting to get an absolute majority last time. But the electorate belied our expectations. ""People realise the need for a coherent political structure, coherent policy and a coherent combination with strong nucleus and not something which is uncertain, weak nucleus whose own longevity is in question," he said.Jaitley said India needed a high level of sustained growth for at least two decades if it had to pull millions of people out of poverty. "As an aspirational society, government owes it to people to maintain growth rate and give them better quality of life. And one thing I know is that aspirational societies will not prefer suicide as a future course of action. "Talking about the economy, he said taxes on oil must eventually come down but it could happen only when dependence on oil taxation comes down by raising the non-oil tax to GDP ratio.However, he expected people to be mature to accept the reality on account of world oil prices on which India does not have any control.